Whether you are buying or selling a home, call Harcourts Rhino for expert advice and prompt service. We have a wide selection of residential properties available on the West Rand covering both the Roodepoort and Krugersdorp areas. Sellers! So many Real Estate companies and agents promise you the earth for a mandate and then let you down badly. All have vaguely written guarantees of service with wishy-washy promises of "should they fall down on their service, that you can discuss the cancellation of your mandate with management." Now, for the first time in South Africa, you have a real estate company prepared to put their money where their mouth is. US !! As from 1st June 2000, Harcourts Rhino has launched the unique R1000 Guarantee of Service. Our Guarantee is very specific, and its not based on selling your house first, and then giving you a refund on commission payable. It's an in your face guarantee that, if we don't perform, you get R1000 upfront. Even if we don't sell your house! Interested??? Having been involved in real estate for over 25 years, and evolving from a junior agent to the Principal of Harcourts Rhino, there is not much that I have not experienced. 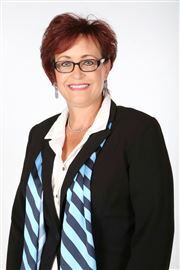 Operating exclusively in Roodepoort and Krugersdorp, it has been my privilege over the years to assist so many people to purchase or sell their homes. 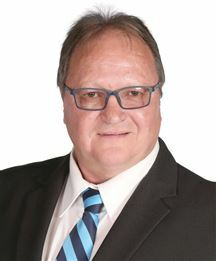 My principal achievement has been though, to develop my team to the extent that they are without doubt the leading real estate team on the West Rand. Being part of Harcourts International also provides my organisation with the support and leading edge systems and technology allowing us to remain at the forefront of real estate in Roodepoort and Krugersdorp. We look forward to demonstrating to you the difference between us and the rest, when it comes to professional service. Give us a try and experience the service you deserve. 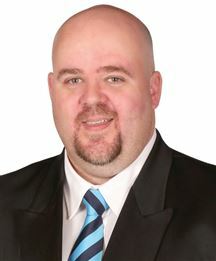 I entered the Real Estate Industry in 1989, 25 years of Residential and Sectional title and Managements experience. I started as a rookie, working my way up to top achiever in the organization, I knew this was for me and bought in to the business. My passions are my family and my people I believe in doing things right the first time and doing the best that I can at all times, with my talents and abilities. I love the outdoors and motorcycles. I love what I do and enjoy the daily challenges our industry brings. I have lived in the West rRand for the past 23 years and love the place. My business partner and I have built a real estate business, built on trust, integrity and honor by caring for our team and clients. The Harcourts affiliation defined our aim through its values: “People First – Doing the right thing – Being courageous – Fun and Laughter”. Values, which I live by daily. 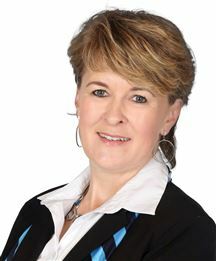 Specialising in Full Title in Kenmare, Silverfields, Rangeview since 1995 Ann is the most Senior of the Sales Consultants at Harcourts Rhino. She has an indepth knowledge and experience in all aspects of the Real Estate industry having worked for the Group since 1995. Ann voluntarily gives up her free time to be actively involved in the community Police Sectoring Forum, contributing to the low crime statistics in these suburbs ensuring the area she specialising in listing and selling is the preferred place to stay. Over the last 21 years Ann's creative marketing techniques has helped her achieve excellent sales figures winning numerous Top National Performer Awards for outstanding performance in her Real Estate career with Harcourts May 2106 For the second consecutive year running was awarded the Elite Blue Circle Status for the Top 5 Performing Agents in the Group Nationally May 2015 saw her inducted into the elite Blue Circle Society for consistent outstanding performance ranking 4th overall Nationally. 2015 Ranked 5th Nationally out of 1008 Harcourts Agents. 2014 Ranked 9th Nationally in the country. 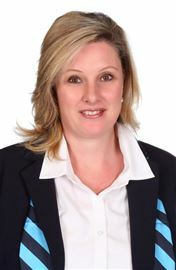 Ann was also selected as Harcourts South Africa International Super Star of the Year. Ann prides herself in the fact that 70% of her business comes from Personal Referrals & Repeat business from Past clients knowing they deserve the very best service the Real Estate Industry has to offer. She is well known for her honesty, ethics, and caring nature. She is trusted by both the young and old. Ann was the creator of the company's motto that they live by today, SERVICE EXCELLENCE, YOUR DREAM, OUR PROMISE. Wake up with DETERMINATION ….. go to bed with SATISFACTION!!!!! This heading could not describe me any better. I ended up in Real Estate during the late 90’s as a single parent with two daughters, then 7 and 5. Being a single parent I had no choice than to take my new career by its horns and make it work. God has been great to me and still is. I would not be where I am today without His Grace and Blessings abundantly. I am proud to say that in all my years that I have been in real estate, I have always been able to sell at least one property per month from the 1st month that I have started in March 1996, best month ever been December 1997 with 15 sales for the month. I believe in going the extra mile for each and every family I deal with. I furthermore offer my clients an outstanding level of service. I am known by my clients and colleagues for my perseverance, honesty and integrity. Therefore needless to say that I can be reached either by phone or email 24/7 to assist with all enquiries and/or assistance my clients may require. I strive to live the Harcourts way : Putting people first Doing the right thing Being courageous Fun & laughter I am here for you with all the passion I have in doing what I love doing on a daily basis!!!!! 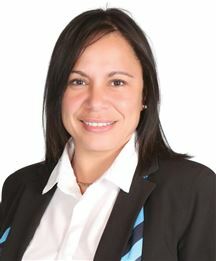 Lizette is a Senior Agent in the Roodepoort Rhino office and specialises in residential properties in Wilropark and Breaunanda. She has been working actively in this area for the last 5 years. Lizette was a teacher for 22 years. She always puts her clients needs first and she treats all her clients with the greatest respect and honesty. She always gives the best available and accurate advice. She is always 100% committed her pricing skills are excellent. 93% of her properties are sold within the mandate period within 90% of her valuation price. 95% of her listings are exclusive listings. 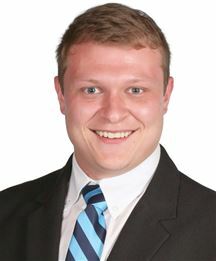 Real Estate Professional Achievements •	Qualified Estate agent (CEA) •	Member of EAAB of south Africa •	Complete NQF 4 •	Senior agent in the Rhino office •	Top 10 National sales consultant, achieved 8th place. •	Over 30 million in sales achieved Courses completed : Exclusive listing system, Establish correct market value, Sharpening negotiating skills, Write it right (Legal documentation and contract law) Your stock in trade, Identifying genuine buyers, communication skills. 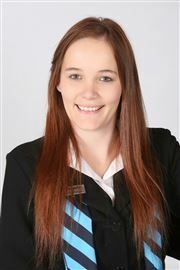 Mary-Jane specialises in Roodepoort Central, Roodepoort North, Roodepoort West, Georginia and Hamberg. 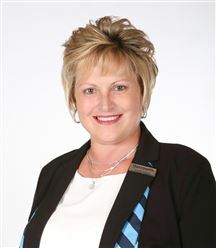 Joined the real estate industry in March 2004 and won “Rookie of the Year”. Mary-Jane has won several achievement awards for outstanding performance and attends “on-going training” to stay ahead with the changes in a very volatile market. 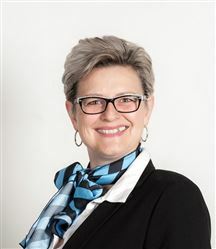 Mary-Jane prides herself by guiding, advising, educating, informing and empowering clients to make the right decision. 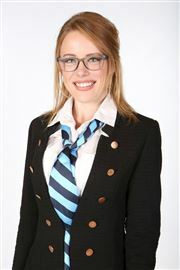 Mary-Jane has a Business Mathematics Diploma from Wits business school and has the new FETC NQF4 Real Estate qualifications and serving on the IEASA Westrand board. Great service begins with a clear purpose why someone should work with me. I have been living in the West Rand area for the past 30 years and matriculated in 1999 from Krugersdorp High School. I guarantee to give you 100% commitment to help you get what you want and to be truthful and honest in my dealings with you, at all times. I will guide and advise you and will stay in regular contact. I am the Sectional Title area Specialist for Horison, Horison View, Discovery, Honey Hill, Roodekrans, Wilro Park and Helderkruin. I am Passionate about property! I have been the area specialist for the Horison, Hor Park, Horison Ext’s, Horizon View and Ontdekkers Park for the past 8 years. With the ongoing training my company gives us, and my past experiences with many clients from all backgrounds I have certainly learnt what most sellers and buyers expect from their Agent. Number one is feedback and that is the one thing I feel I have done continuously throughout the transaction process. A comment from a recent client “ You made a promise to us when we met you and you have been true to your word.” This kind of thank you and comment from my clients is what makes real estate most rewarding for me. I have also received some Achievement Awards which were quite satisfying and proof that my approach works for me and my clients. Am fully compliant with the Estate Agents Affairs Board requirements and have just completed the NQF4 exams. “What does it profit a man to gain the whole world and loose his soul?” Growing up with my oupa and ouma being in the Real Estate business.. I’ve learnt the most valuable lesson ever. It is not about me! Bringing extensive experience in up lifting myself through training on the latest trends in the real state world , facilitating and counselling my customers, as an accomplished and respected Property Consultant, I offer my clients an outstanding level of service. My life mission is to empower people with knowledge. Combining my strong people skills, extensive experience and dedication to ongoing education in my field, I provide an unsurpassed choice for anyone ready to purchase or sell a home. Known by clients and colleagues alike for my tenacity, perseverance, honesty and fairness, I also enjoy a stellar reputation for quick, timely response to each client’s needs and concerns. My telephone and email is always at hand. The result of that consummate professionalism is my extensive portfolio of referrals from past and present clients. In addition, I credit the values instilled in me by my parents’ upbringing, as being vital to my professional success. I am a young, energetic and enthusiastic person always open and willing to help and share with the people around me. Having and creating good communication to me is fundamental in holding and nurturing good relationships with not only clients but the people around that I make contact with on a daily basis. I have a high standard of ethical business practice and believe in good old traditional respectful honesty linking hand in hand with integrity. I know that it is for these reasons I can make a difference to a person's property experience which should not become or be left as the most stressful small period of time in our lives. It is solely because of these reasons that I managed to sell my very first property in my very first week in the business and then my second in the following week. This is not at all a statement to prove that I know it all because I don't, in fact having just started out in the property field a lot is left to be learned which I am both excited and ready to take on. So, let me take the opportunity to thank you for the time you have given to me, which is the greatest asset you could give. I look forward to creating and building a relationship with you in the near future. Deo's promise and guarantee to you is that she will offer you honest and professional service throughout your time together and keep your property and confidentiality at heart. Deo will sell your property in the shortest time possible for the highest market price. Area Specialist for Lindhaven, Groblerpark & Reefhaven for the past 15 years. 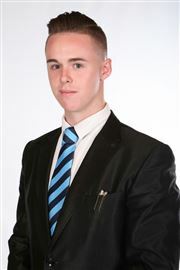 Deo is passionate about property. Ravin's love and enthusiasm for property is remarkable and therefore he strives towards being the best. 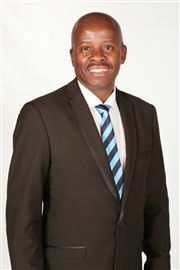 Ravin is currently settled in Honeydew as the area agent for sectional title to achieve maximum returns and a hassle free sale for his sellers. Since Ravin kicked off his career, his knowledge of properties has increased drastically and Ravin makes sure of it to put his Sellers` needs first. Our Company`s high standard of service excellence and ethics as well as his personal experience in formulating a plan to achieve the desired goal, is the difference between Ravin and any other agent operating in his area. 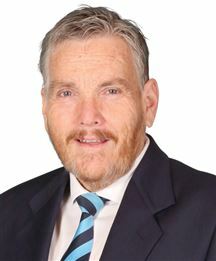 Ravin matriculated at Noordheuwel Highschool with University admission where he started his Psychology degree at the University of Johannesburg. Ravin transferred over to UNISA and he is in the process of completing his Psychology degree in research and counselling. 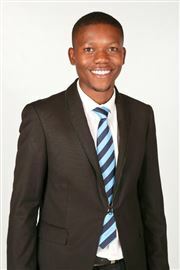 Ravin was elected Head “Voog”at one of the fraternity houses in UJ where he was in charge of handling all portfolios. Ravin is young, courageous and driven towards success. 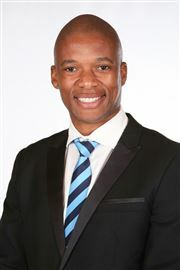 Ravin recently completed his NQF4 in the Real Estate Industry. “I am here to save “ I have always lived my life according to certain principles & values . They guide me not only in my personal life but in professional career as well . I believe that one of purposes of life is to serve , I serve my community through various ways and means , As I believe I need to give to community from which I live . the same applies to the way I approach my work . I’m here to save my clients , to paraphrase leadership coach & motivational speaker Sandhurst motto , I serve to lead ‘. I put a premium on trustworthiness . this is more so in my chosen professional . Finding a home or selling one is a very sensitive , act . family’s put their trust in Real estate agents such as myself , with the hope that they will not abuse the trust they give them . I take the responsibility placed on me most gravely & I take it as a challenge to me to make whole process as effortless as possible . I am completely honest & through with my clients . For the process I promise to you . I have 8 years of experience in the Real Estate industry , I have worked for different organizations saving them in various capacities literally Beginning from the very bottom & I steadily worked my way up the echelons of the industry . In a bid to augment my level of skills as it were , I have sought out the council of those in the industry for one, So as to sound their experience & advise . Academically I have attained the further education & training : Real Estate Agent Level 4&5 qualifications . I am to be the preferred Real Estate Agent in Mindalore & Soweto . I was born and bred in the Westrand. I enjoyed my primary school years at Roodekrans Laerskool and I matured and loved my high school years at Noordheuwel Hoerskool. I matriculated in 2003 and started working at Harcourts Rhino (then Homenet Rhino) in 2004. I started off as the Receptionist and climbed the corporate ladder up to the Customer Care Manager. I’ve learnt so much from my two Mentors / Principals (Owners of Harcourts Rhino) – Louis Barbosa and Mauro Mosca – they have played a big role in my life and they are one of the reasons why I am the person I am today…. I wanted to spread my wings, left my Harcourts nest and moved to Mossel Bay in 2012. This was a BIG challenge for me. There I worked for a BEE company as the CEO’s Personal Assistant. I also got massively involved in the Financial Department and discovered I loved the figures game. A whole new page opened up for me there BUT my feet were itching to come back to Johannesburg. Mossel Bay and its people were real good to me but I am a city girl after all. In July 2015 Louis, Mauro and the Harcourts team welcomed me back with open arms. Feels to me like I am back with my “corporate” family. I now work as the Accounts / Admin assistant and have one goal in mind and that is to qualify as a Senior Bookkeeper. Currently I am studying Junior Bookkeeping via ICB (The Institute of Certified Bookkeepers LTD) at the Business School - Varsity College, Sandton (watch this space). IT FEELS GREAT TO BE BACK WITH THE HARCOURTS RHINO TEAM! AKA THE BEST TEAM! Quite the Hidden Treasure ! An Investment With A View!!! Very Neat Entry Level House! Spacious Flat With A Lift! A Bargain For All It Offers! Well Kept Home With A Flatlet!